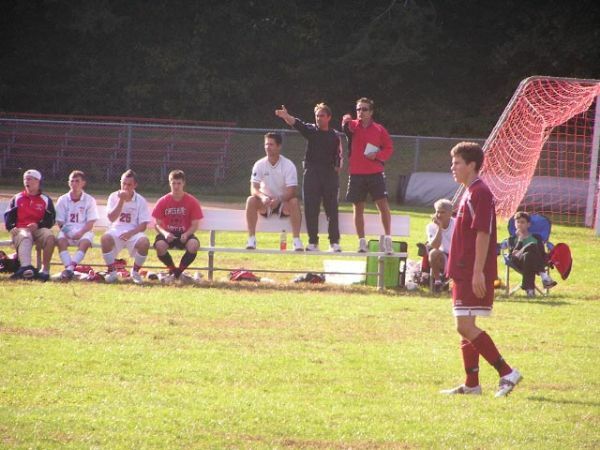 Coach Branco is the Boys Head Soccer Coach at Cheshire High School. In ten years with the program he has led the Rams to ten straight State playoff appearances and to three SCC Housatonic Championships and the Class LL semi-final in 2001. Coach Branco holds a combined record of 124-41-16. In 1998 he received the league's Coach of The Year Award. 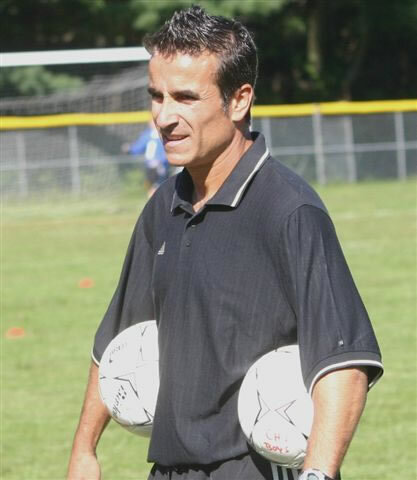 Coach Branco played collegiate soccer at Southern Connecticut State University and was a member of the Owls first National Championship Team. Prior to coming to America, Coach Branco played soccer in Portugal. There he played for Benfica and for the Portuguese Youth National Team. Coach Branco is the creator and founder of the Ultimate Soccer Academy. A Soccer Academy devoted to teach and develop a player's knowledge and skill of the game of soccer. Currently, Coach Branco is a Spanish teacher at Cheshire High School and is Chairman of the World Foreign Language Department. Coach Mongillo has been a resident of Cheshire since 1970. He began playing soccer for the newly formed Cheshire Soccer Club in 1974. Throughout his high school years, he participated at the varsity level, lettering all four years, and attaining Housatonic League recognition in each of those years as well. He was also honored as an all-state player during his junior and seniors years. He graduated ranked 5th in his class and was named Cheshire's recipient of the New Haven Register Youth of the year award in 1978. During the summer months, he played, coached and refereed for the Cheshire Soccer Club. His association with fellow Cheshire resident, Sunil Gulati, allowed for further involvement in soccer at the district and state level as an assistant coach for nationally renowned head coaches. Chronic leg injuries plagued his participation in soccer at the collegiate level at Boston University. He did however organize and develop a successful intramural soccer program for the school. Graduating with honors in biology and Italian studies, he chose to pursue a career in medicine. He maintained contact with soccer throughout his four years of medical school. He managed and played for a championship regional team in Grenada, West Indies. Also while completing his residency in pediatrics at Yale New Haven and Bridgeport Hospitals, he was a member of the Waterbury Zimitti Soccer Club of the Connecticut Soccer league premier division. His other coaching experiences included junior varsity at St. Regis Boys High School in New York City and assistant head coach at Amity High School in Woodbridge, CT. He has also played and coached for the Cheshire Azzurri over-30 and over-40 men's teams for many years. Coach Mongillo has been a member of Coach Branco's staff since 1996. His responsibilities include technique training, field strategies, team psychodynamics and fitness advisor. Coach Wildermann is in his second year as an English teacher at Cheshire High School.